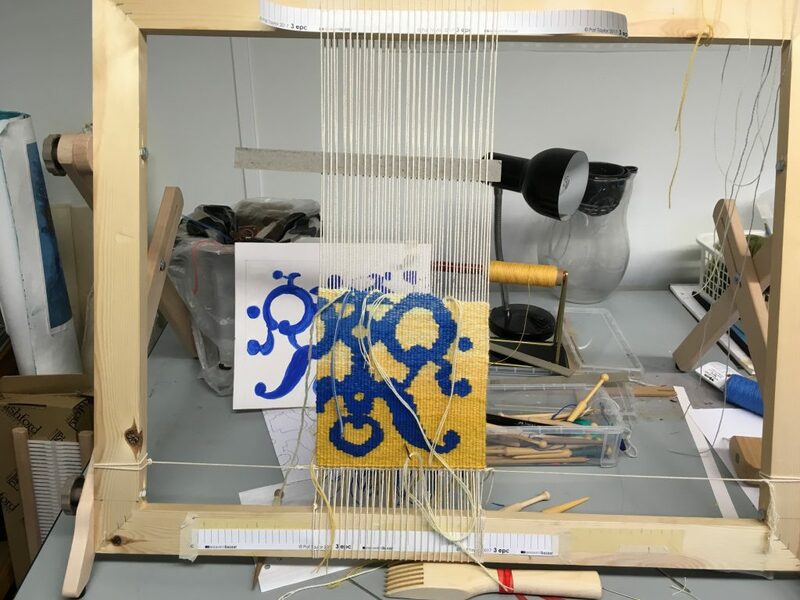 I have recently started the Foundation Diploma in Tapestry Weaving at West Dean College as I wanted to bring together my extensive research into colour, through painting and my many years of working with textiles, mostly through making and using yarn. I have much to learn and am trying not to be too frustrated with this. Choosing the correct warp thickness and size of weft bundle (I didn’t even know that you could have a weft bundle!) has been quite challenging, but slowly I think I am getting there. I am interested in how artists such as Kirsten Glasbrook use borders in their work and so I tried some ideas out here. The image below also introduces the use of borders and a central motif with a variegated background to the motif. 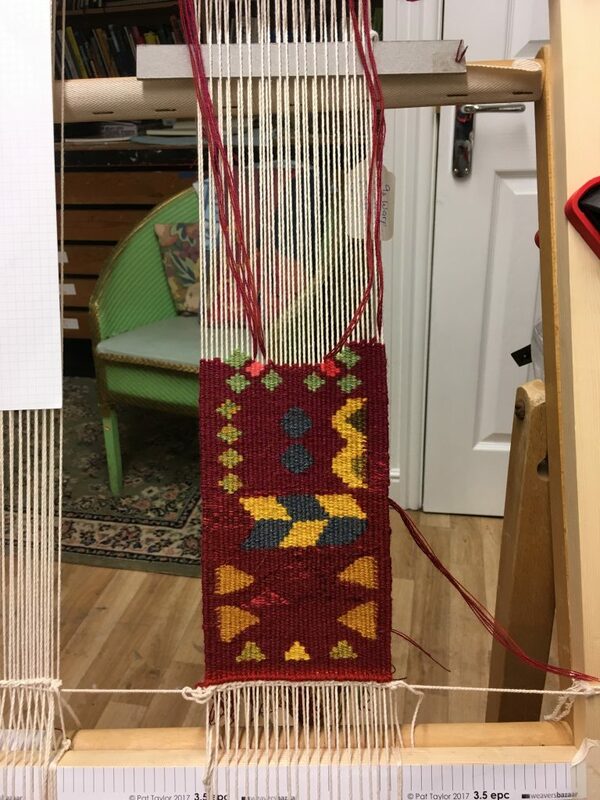 I was pleased with the colour scheme but I found that the ‘sett’ of the warp was too close for the thickness of the warp. This resulted in a rather congested tapestry that didn’t lie entirely flat. I’m still learning. 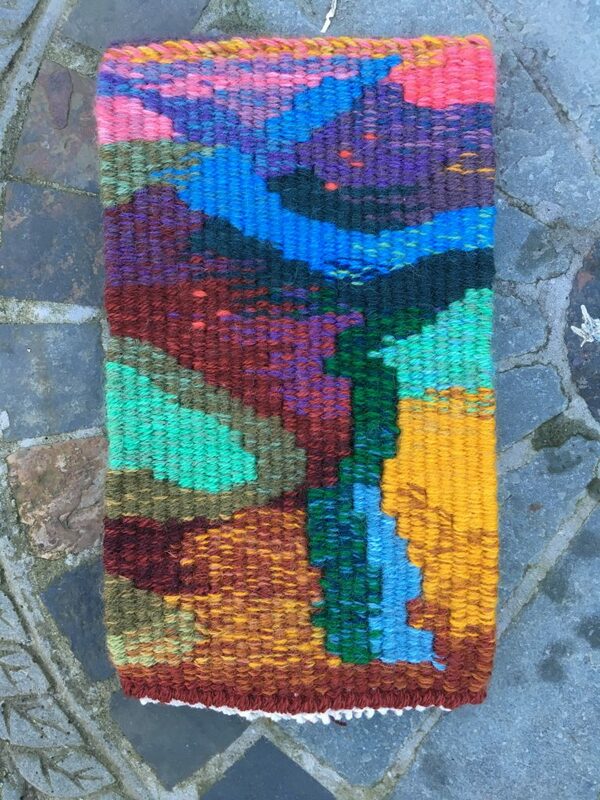 This small tapestry is an interpretation of my drawing of a radiator cover in Stansted House. I wanted to try out icon colours, but also to practise graduating the colour of both background and image from dark at the bottom to light at the top. This is the first of a series of tapestries where the source material is one of my paintings. I am taking fragments of the original (unfinished) painting and interpreting them into tapestry weavings. They are approximately 10cm wide. This first fragment is made on a moderately thick warp (15s) with 2.5 ends to the centimetre. The bottom part is a bit ‘clunky’ but as my hatching improved the imagery improved towards the top. The colours worked for me. 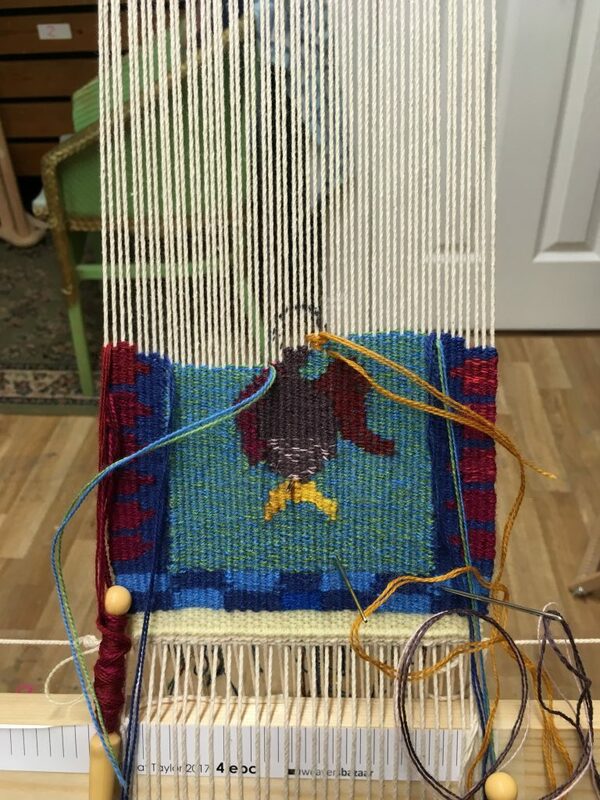 This entry was posted in Tapestry Weaving and tagged border patterns, Kirsten Glasbrook, Tapestry Weaving, West Dean by Sehila.Craft. Bookmark the permalink.